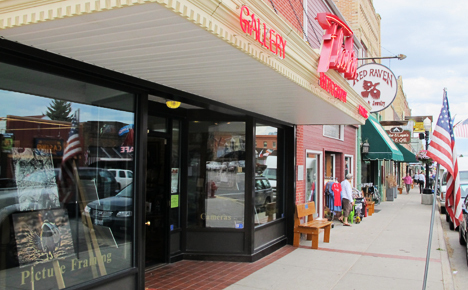 While visiting Red Lodge, be sure to walk down Broadway for a wonderful shopping experience. Here you will find an old-time candy store, antiques, specialty shops, western arts and gifts along with a bookstore. Red Lodge Antique Mall. 209 S. Broadway Avenue, Red Lodge, MT 59068. Phone: 406-446-0348. Red Lodge Books. 11 N. Broadway, Red Lodge, MT 59068. Phone: 406-446-2742. CC Legends. 113 S. Broadway, Red Lodge, MT 59068. Phone: 406-446-2161. The Glass Rabbit. 112 S. Broadway, Red Lodge, MT 59068. Phone: 406-446-2805. Kibler and Kirch. 101 N. Broadway, Red Lodge, MT 59068. Phone: 406-446-222. Mercantile Museum Store. 224 N. Broadway, Red Lodge, MT 59068. Phone: 406-446-3667. Red Raven. 19 S. Broadway Avenue, Red Lodge, MT 59068. Phone: 406-446-1520. Twin Elk at Rock Creek Resort. 6380 US Highway 212 S, Red Lodge, MT 59068. Phone: 406-446-1111. Swanky Fork. 203 S. Broadway, Red Lodge, MT 59068. Phone: 406-446-4222.